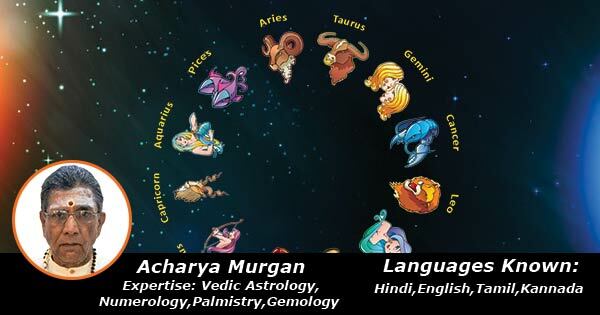 Acharya Murgan is an experienced Astrologer. He belongs to family of Astrologers and thus Astrology is in his blood. He started pursuing Astrology from a very early age. Gradually, he gained expertise in Occult Science also. He holds Graduate degree in Computer science. He is into professional consultancy of Astrology since last 37 years. His expertise lies in Numerology, Gem Stones & Prashna Shastra. He has won the Jyotish Vibhushan award.